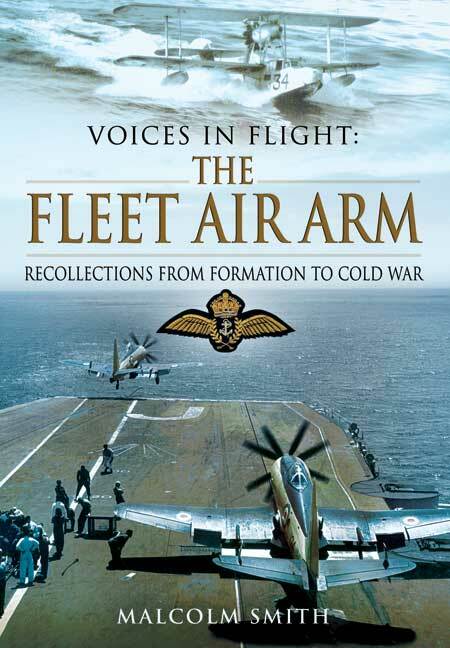 You'll be £25.00 closer to your next £10.00 credit when you purchase Voices in Flight: The Fleet Air Arm. What's this? Order within the next 39 minutes to get your order processed the next working day! The author Malcolm Smith has been the Editor of Jabberwock, the quarterly journal of the Society of Friends of the Fleet Air Arm Museum, for two years and has inherited the complete archive of editions dating back to the formation of SOFFAAM in 1979. In browsing through these, it quickly became apparent to him that they provided a unique archive of reminiscence of the men and some of the women who served in, or have been associated with, the Fleet Air Arm since its formation in 1918. The Fleet Air Arm were the branch of the British Royal Navy responsible for the operation of naval aircraft, and its history is a varied one as these accounts attest. The Royal Navy, in common with the other armed services, expanded enormously during the Second World War, so anecdotes from this period naturally predominate. To illustrate the varied experiences of the contributors, these are grouped into “War in the West” and “War in the East”. Whether drawn from peace or war, however, what emerges from these pages is a particular spirit, peculiar to the Fleet Air Arm and reflecting its somewhat hybrid nature; a spirit derived from a high level of professional competence combined with a certain irreverence towards Authority. A wealth of unique reminiscences of the men and women who served in, or have been associate with, the Fleet Air Arm. For anyone with an interest in 'tail hookers', particularly those of the Royal Navy, this book should be on one's shelf. Riveting, surprising and in some cases slightly humorous. A reflection of the calibre and bravery that these young navy aircrews were made of. For anyone with an interest in 'tail hookers'. particularly those of the Royal Navy, this book should be on one's shelf. The short nature of this anecdote makes this a book that you can easily dip in and out of- ensuring its very easy reading. Rear Admiral Ray Rawbone writes: "This is beautifully presented, the format ensures interesting and enjoyable reading. The author has certainly identified and filled a forgotten niche in FAA history. An excellent book which everyone should enjoy, especially those who have served in the Armed Forces and recognise the characters." Malcolm Smith served for 30 years in the Fleet Air Arm as an Air Engineer Officer. In a varied career, he served with 801 and 809 Buccaneer squadrons in HMS Hermes and Ark Royal respectively. He also spent two years with the Royal Air Force at RAF Cottesmore with 360 (Canberra) Squadron. After a spell at the Royal Naval Air Station at Culdrose, he filled a variety of Staff and MoD appointments. These positions included being responsible for engineering standards and practices in Small Ships’ Flights (both Wasp and Lynx) and later having some influence on aviation arrangements in aircraft capable ships, before retiring in 1990. He lives in Dorset.